One of the most precocious talents in the history of Jazz, Francesco Cafiso was born in Vittoria (Italy) in 1989, and started working with internationally famous Jazz musicians when he was only nine years old. Meeting Wynton Marsalis at the Pescara Jazz Festival in July 2002 was a decisive moment in Francesco’s career. Amazed by Francesco’s qualities, Marsalis took him along with his septet on his 2003 European tour. From that moment on, Francesco went through a series of important experiences both in Italy and abroad. He won several important awards: the Massimo Urbani National Award in Urbisaglia, the EuroJazz Award in Lecco, the International Jazz Festivals Organization Award in New York, the World Saxophone Competition in London, the Django d’Or in Rome and many others. In order to improve his knowledge of the English language but, most of all, so to experience new musical styles and genres, Francesco moved for a while to New Orleans, where he had the opportunity to play with Ellis Marsalis, Jason Marsalis, Thadeus Richard, Bob French, Maurice Brown and many other local musicians, while taking private lessons from Alvin Batiste. In 2005 Swing Journal, the Japanese Jazz magazine, gave him the New Stars Award, reserved to emergent foreign talents. 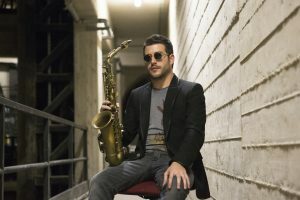 Right after that he won the Top Jazz referendum of the Italian Musica Jazz magazine, recognizing him as the tops new talent of the year. In 2006 Francesco obtained his Diploma in Transverse Flute at the Instituto Musicale Vincenzo Bellini in Catania with the tuition of Elena Favaron. He is also studying Jazz piano. 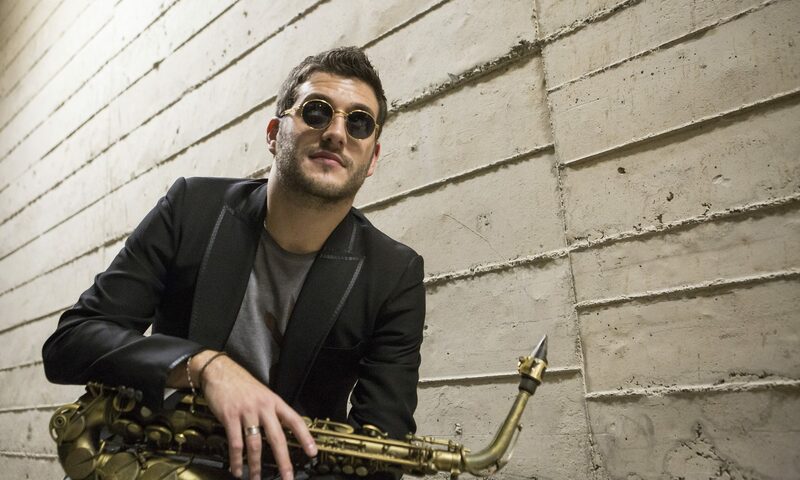 Since 2008 he has been Artistic director of the “Vittoria Jazz Festival” in Vittoria, his native city. In 2010, he obtained a Master Degree in Jazz at the Corelli Conservatory of Messina. Soon after he performed in China during the festival “The best of Italian Jazz” at the Expo in Shanghai. In July of 2012, he was invited to perform in London for the Olympics, at the headquarters of the Casa Italia in the presence of the Italian Ambassador in London and of the leaders of CONI. In September of 2012, during a long stay in the United States, he held a series of master classes at the prestigious University of Pennsylvania in Philadelphia. 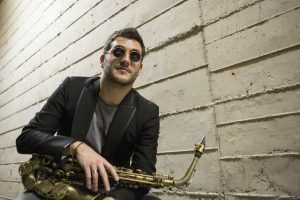 In June 2013, at the behest of the Ministry of Foreign Affairs and Consul General of Philadelphia, in collaboration with the American Secretary of State John Kerry, Francesco was chosen to represent Italy to play during the celebrations for the Year of Italian Culture in the United States. On 2014 February 20, Francesco, received in New York the “Grand Award of Merit” by the “American Society of the Italian Legions of Merit”, on behalf of the many contributions of Sicilian jazz musicians in the jazz music development and diffusion throughout the world. “3” is his latest ambitious release. Three albums in one special box: “Contemplation”, “La banda”, “20 cents per note”, featuring all original compositions, written and arranged by Francesco with three different musical directions. Francesco has performed with some of the greatest names in Jazz: Hank Jones, Cedar Walton, Dave Brubeck, Mulgrew Miller, Ronnie Matthews, Jimmy Cobb, Ben Riley, Ray Drummond, Reggie Johnson, Doug Sides, Lewis Nash, James Williams, Joe Lovano, Christian McBride, Jon Faddis, George Mraz, Joe Locke, Enrico Rava, Gianni Basso, Dado Moroni, Franco D’Andrea and many other Italian and American musicians.